Kennedy Barnes (left), Tope Adebayo, Mosun Oke, Ward White IV, Nnamdi M. Anozie, Dr. Olumide K. Famuyiwa formalize affiliation in Lagos, Nigeria. Dallas –September 6, 2018– White Wiggins & Barnes, LLP has announced the opening of its Johannesburg, South Africa office located in Nelson Mandela Square in Sandton, and an affiliation with Tope Adebayo, LLP a prominent law firm based in Lagos, Nigeria. White Wiggins & Barnes is actively involved in entertainment-related projects in both Nigeria and South Africa, and works closely with leading African and internationally-known artists and producers. The Adebayo firm specializes in litigation and advisory services throughout West Africa, and is currently lead counsel for the Nigerian Government’s effort to recover billions of dollars improperly expropriated from Nigeria by multinational corporations and individuals. The strategic affiliation between the two firms represents a focused intent to bridge their respective expertise and relationships to expand opportunities among American and African entrepreneurs, content creators and businesses in the areas of entertainment, emerging market development, international dispute resolution and regulatory compliance. H. Ron White’s strong interest in Africa began with his role as a delegate on the Dallas Business Development Trade Mission to South Africa in 1996, led by former Mayor Ron Kirk. “The opening of our South African office and the affiliation with Tope Adebayo, LLP fulfills a longstanding goal to bridge opportunities for our clients with interests in Africa,” said White. In addition to its focus on entertainment and emerging market development, White Wiggins & Barnes recently expanded with the opening of an office in New York City, and the addition of Lance Croffoot-Suede as of counsel with the firm. Croffoot-Suede has considerable experience in the areas of international litigation and litigation avoidance/dispute resolution, regulatory compliance, including corruption and fraud-related investigations. 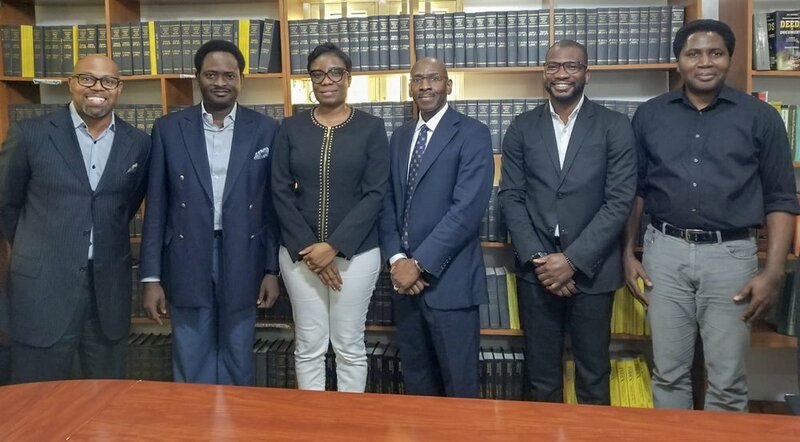 “The relationship with White Wiggins & Barnes greatly expands our firm’s entertainment-related capacity and adds a wealth of experience in our more traditional practice areas,” said Tope Adebayo, founder and senior partner of the Nigerian firm. Founded in 1993, White Wiggins & Barnes is the oldest minority-owned civil practice law firm in the State of Texas. Alumni of the firm include many prominent judges, including currently serving district court judges and appellate justices, as well as prominent law partners, general counsels and public officials. The firm will celebrate its 25th Anniversary in October. Read more about the firm here: www.wwbllp.com.